Country music legend and Rock and Roll Hall of Famer Jerry Lee Lewis has been forced to cancel some upcoming shows as he continues to recover from a recent stroke. The 83-year-old suffered what was characterized as a minor stroke on February 28th, and initially was not expected to miss any of his performance commitments. But now he’s canceled all but one appearance scheduled for 2019. After spending the last two weeks in the hospital, Lewis was recently transferred to a rehabilitation facility. Neurologist Rohini Bohle of the Methodist Le Bonheur in Memphis, Tennessee says Lewis is “expected to fully recover with aggressive and intensive rehab. 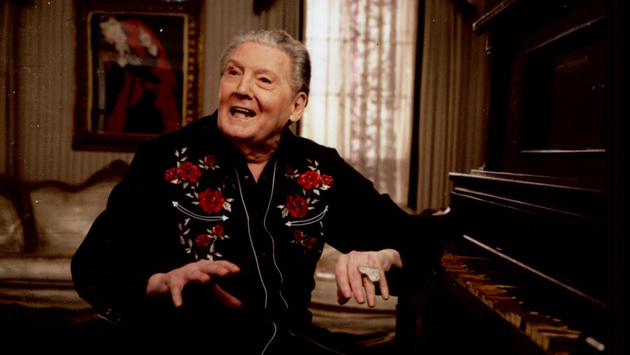 From what I have seen thus far, he is heading in the right direction.” Nonetheless, Jerry Lee’s April 28th performance at the New Orleans Jazz and Heritage Festival, as well as his June 8th appearance at The Birchmere in Alexandria, Virginia have been canceled. Lewis’s show at the Schermerhorn Symphony Center in Nashville on July 1st is still on at the moment. Though Jerry Lee Lewis is mostly known as a rock and roll piano player, his career caught a second wind as a country music performer, transitioning to the genre in 1968, and logging 17 Top 10 hits and four #1’s by 1977. His name is regularly considered in the running for the Country Music Hall of Fame, but it was revealed earlier this week that it would be Ray Stevens instead of Jerry Lee and a host of other candidates as the Veterans Era inductee in 2019. Another Place, Another Time, I guess.